1. 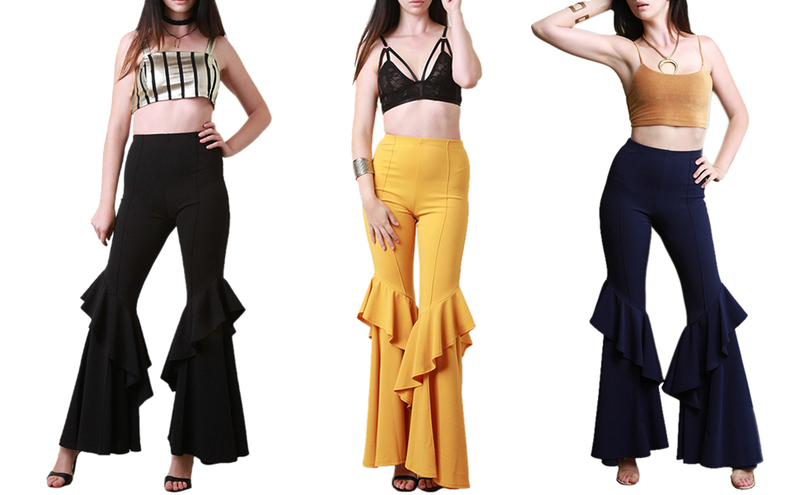 High Waist shows off your waistline, covers up your muffin top and tummy - visually elongates your silhouette. 2. Wide Leg design creates sophistication that don't compromise on comfort and creates a leg lengthening illusion instantly. 3. The Flare Cut design features Ruffle Crepe Tiers to create even more drama through your bottom half. 4. 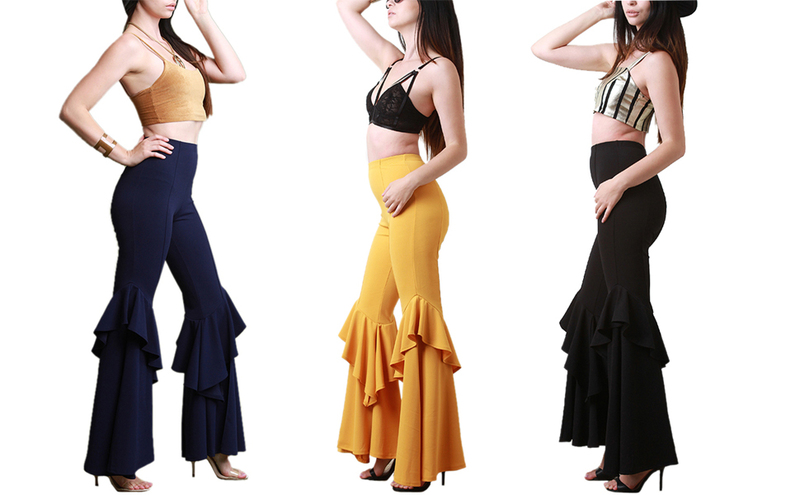 These Flared Ruffle Pants stretch in all the right places keeping you comfortable and cool without being see-through! 5. Pair them with a fitted blouse or shirt tucked in and pump for a polished business look - With a silk camisole and cropped jacket or blazer for a night out - A turtleneck knit sweater will play down the formality while maintaining an air of elegance. 6. Highly adapted easily to both flats and heels.